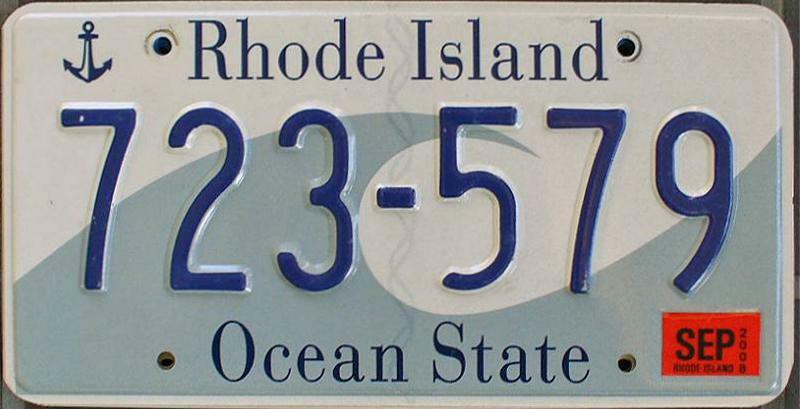 Rhode Island law requires vehicle owners to register their motor vehicles and display license plates to be operated on public roads. To obtain license plates, you must register your vehicle with the Rhode Island Department of Motor Vehicles. If you are a resident of Rhode Island, you are required to register your vehicle in Rhode Island Division of Motor Vehicles. If you are transferring from out-of-state, within 30 days of moving to Rhode Island you must obtain a new title and registration for your vehicle. Vehicles 2001 or newer, if the title is from another state or the vehicle was registered in another state, a Vehicle Identification Number (VIN) check in Rhode Island is required before you register the car. A title is needed for a VIN check. Upon completing registration, you will receive a registration certificate, new plates and expiration stickers. The registration plate issued for a motor vehicle shall be attached to the rear of the vehicle. If your plates are lost or stolen, you need to complete and sign the Application for Registration and the Affidavit for Cancellation of Registration for Lost Plates form. If your plates are damaged, fill up the Application for Registration and the Application for Remake of License Plates. Send the forms with the appropriate payment to the Division of Motor Vehicles Attn: Plates, 600 New London Avenue, Cranston RI 02920. You can transfer the registration and plates to a new vehicle as long as the name on the registration is the same. You will receive a registration only. No stickers will be issued. The expiration on your current stickers will be valid. Buying a used car in Rhode Island? Don’t make a costly mistake. Run a Free License Plate Lookup for your Rhode Island-registered vehicle! Run a Free Rhode Island License Plate Lookup to uncover the full-story of your Rhode Island-registered vehicle.